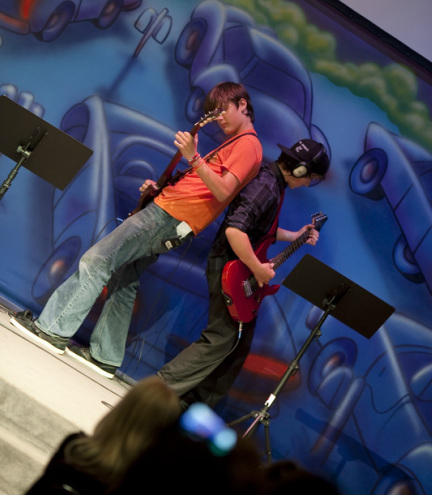 An unbelievable night of fun and rock and roll, our first themed recital was a hit with students and parents alike! This recital features more than 30 acts covering all areas of the Beatles historic career from the height of Beatlemania to their more progressive studio work. Featuring bands, students singing and playing, piano students, drum students, guitar students, and ukulele! Check out pics and video inside. have been able to attend a standard recital. Featuring videos from guitar and piano students. Our first recital to feature bands, students playing and singing, and piano students. Check out some pictures and a few videos.